Type :2-way bass-reflex bookshelf speaker. Drivers : 61/2"(16.5cm) Polyglass mid-bass. 1"(25mm) TNV Al/Mg inverted dome tweeter. I really enjoy listening to these speakers, I have owned B&W 603, and just wanted bookshelf speakers because my living space is a little smaller. I shopped around listened to B&W 685,686,monitor audio BX2,RX1,RX2, Focal 806v,807v, Paridigm studio 10s,20s. I was lucky to met a guy selling his 806v and I didn't hesitate to buy them and boy am I happy with this purchase. I own a sub so bass is not a problem I didn't need the speakers to give me a low bass. I wanted a good clean sound and just be able to enjoy my music and watch movies and I have that with these speakers. I own a boston accoustic PV800 sub and I might buy the focal 800 CH speaker I currently own Boston accoutics VR 920. My system is powered by Technics SA-TX50. One of the best bookshelf speakers I've listened too recently. Listened to B&W 685 and KEF Qi30. I couldn't really find a weakness on the Focal. Good vocals, bass, piano and imaging. I am rather at a loss for words, as I didn't want to like these speakers, but I do like these speakers. Are they a steal for the price? Not really, but they aren't out of the ballpark either. If you've never heard these give them a try. I purchased these speakers new to replace a pair of Thiel CS1's that I had for many years. I no longer had room for floor standing speakers and needed something bookshelf size. 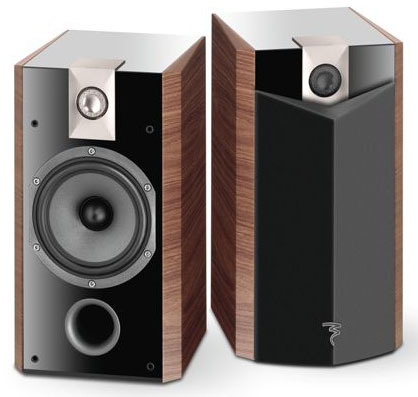 These speakers fill the room with a wonderful full and rich sound that totally belies their size. The image extends beyond the speakers and they convey a 3D image of what is played thru them. Highs are extended and open, mids are articulate and natural, lows sound well controlled and reasonably substantial for a speaker of this size, to its limit of 50hz. If you want deep bass you will need a sub, oherwise these speakers will play quite loud and still remain composed. They are efficient enough to be driven to room filling levels of music with a modest power amp. The one thing that should be avoided would be bright sounding electronics, ie cheap solid state, that would make them sound edgey bright and unbalanced. I am powering them with a Jolida jd202 40 watt x2 tube amp that I have done tube rolling on for a warm lush sound and they sound sweet. 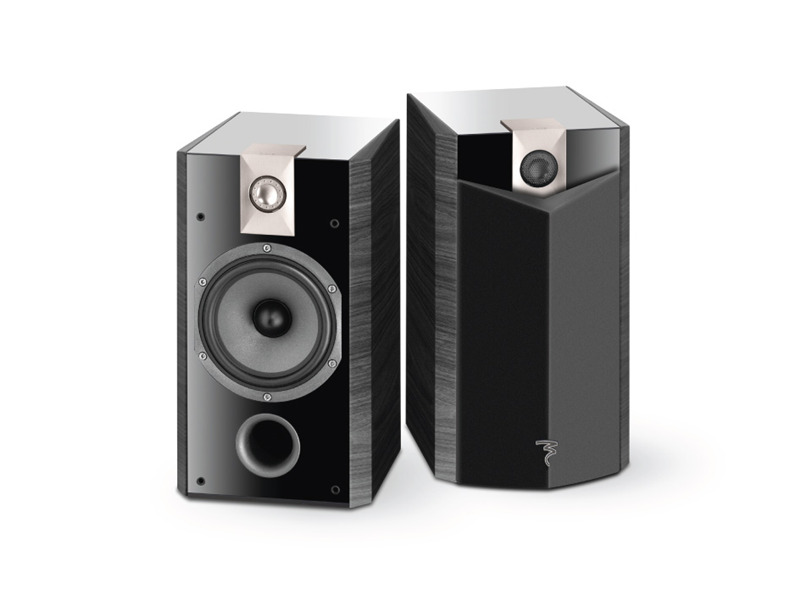 These speakers will expose the source material for what it is, a well done clean recording sounds wonderful. A bad recording or one that is not well done sounds for what it is, terrible, and that is the only time that I have not heard these speakers sound good, but then they are doing what they are supposed to do reproduce accurately what is sent to them ! For the size and price these Focals are hard to beat !! Neutral and balanced in all areas. Efficient for a front ported design. Not the standard box design like other speakers, presentable. If it weren't for the added premium price of the nice but fragile finish, I'd give this a 4 star value rating. Some say that this is exactly the same as the 706V but with added cosmetics. I've compared both through an extended audition and everyone in the room felt the 806V is noticeably better than the 706V. 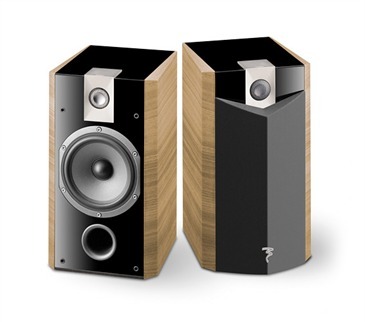 These speakers excel both in looks and sound quality. It's balanced from top to bottom and can play any kind of music very well. Of course there are other speakers that focuses on certain types of music or areas but the 806V are definitely the top choice when it comes to branding, image, and all around usage. Being a jack of all trades means there are cons and I believe the vocals sound a bit dry even after using Musical Fidelity SS set. The bass can also be a bit tighter but still acceptable for movies and rock. But overall its a speaker that's capable of anything from a party to a private late night session. Currently, PSB B25, Usher S-520 but pretty much all bookshelves from most well known brands. Well formed speaker. In total all parts together combine very neutral and easy to listen sound. Balanced in all areas. Maybe the best speaker in that price range. Didn't find any. Still, some listeners will find upper to scratchy. I did lot of reasearch on market searching for speaker which will be easy to drive with my DIY SE tube amp (2x8W). Since my budget was around 700 EUR and I wanted new speaker not secondhand I decided on 806V. I am listening everything: from instrumental, vocal, jazz, film music, all over to rock and metal. In total 806V can handle all of those genres. My room is size 5x3.5 m and they are facing longer side. This speaker is very easy to drive – as I already mentioned. Pot is tipically placed between 1/3 and 2/3 of overall circle. Between amp and speakers is AudioNote silver cable. They are not so sensitive to placement but reasonable distance from side and back walls can further improve overall sound stage. You must be aware with the fact that we are talking about speakers with 50Hz bottom frequency. So don't expect kicking bass. If you are bass freak then buy sub or different speakers with lower frequency range. Bas do its job quite well actually. Buss is stable, fitting well in overal sound, also with good reaction. No delays. Actually, placement of the speakers have the biggest influence on bass reproduction. Middle is clean and clear. Different instument are seperated well and can be clearly heard. Soundstage is well formed – depth, distance, position. Everything is there - balanced and neutral. Tipical comment about Focal speakers is that they are best in upper. 806V clearly demostrate that. If you are not used to such clean and high voices you will not like that speaker. That's the fact about Focal – either you like it from the beginning or you hate it for the rest of your life. -impressive sound quality, build, styling and value. detailed and smooth sounding. -attention to detail is 2nd to none at focal. -focal heritage- I`ve had the honour of hearing the line from the chorus v up to the diva utopias these guys dont mess around. purchased a pair of focal chorus 806v`s from used audio classifieds in canada. I have been quite pleased with these bookshelfs in my system. they are neutral and balanced as advertised. these put the energys (xl 15b) I had previously been listening to to shame. the focals have more of most things: detail, sounstage, imaging, etc. and less of other things like listener fatigue and coloration. the 806v`s didnt put a smile on my face like the 816v`s or electra 1007`s that I auditioned but they were all my budget could allow at the time. there is some listener fatigue still though much less than my previous setup. on some recordings they come across a tiny bit bright and sometimes slightly nasal sounding on the vocals. they are otherwise a smooth operator and easy to listen to. the 806v`s are a bit thin on the lower frequencies which is a non issue for me with 2 subs and bass shakers in my couch for added impact. I believe these are a respectable budget priced bookshelf and a solid performer with good value. oh yeah the finish and cabinet styling are well ahead of anything in this price range. In a few years when I upgrade again they will make a damn nice pair of rear channels or bedroom 2 channel setup.